Release Date: July 28, 2016. 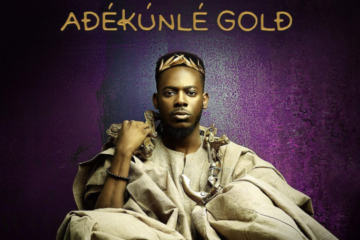 2016 has been a great year for Adekunle Gold. He’s enjoyed continued success since he burst on the scene with his cover of One Direction’s “Story of My Life”, Sade. The joint marked him out as different from the norm, self-effacing and vulnerable in the way much of songs released at the time weren’t. Gold is mature pop; no thumping bass line or calls to pop bottles here. It’s all stories, desires and a lot of vulnerability. The album opens with him telling the Gold story. The record and his stage name emanate from Exodus 31:3-5. Being gifted with the ability to use one’s hands, to craft, to mould precious metals and wood; God, according to the Bible, gave these abilities to Bezalel of Judah. Well, here is Adekunle Kosoko of Nigeria making good on that gift; ‘Dekunle the sculptor, the Photoshop guy, the instrumentalist and singer – He is an artist (not an artiste – which refers especially to a singer or dancer) who embodies excellence, from the visuals to his music, to his meticulous public presentation. On Beautiful Night, a juju influenced joint, Adekunle finds his red blooded voice, ‘ale oni lo ma te, let’s stay all night baby’ a promise of bedroom conquest that’s not quite believable but it makes for a sweet song. 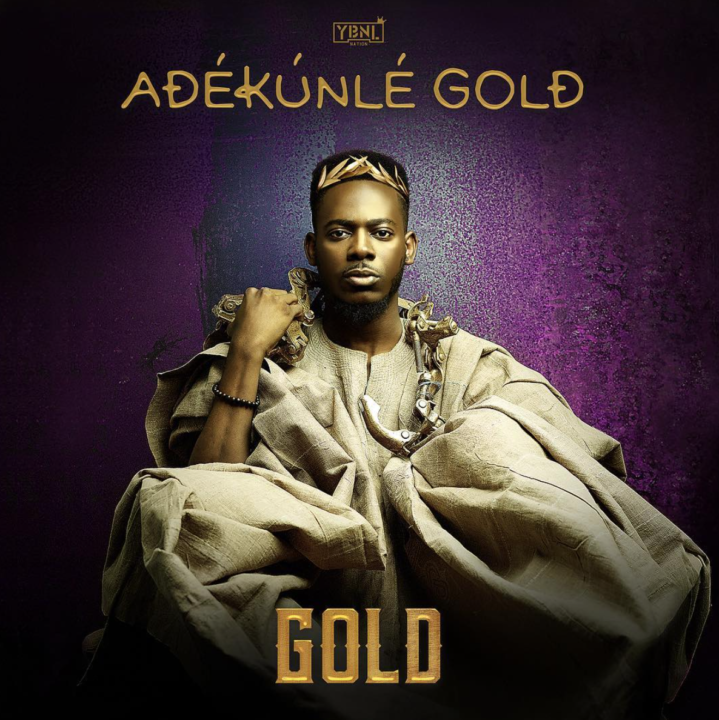 The running theme on Gold is of a good man, unsure of a his own desirability as love interest, ‘e ba mi pe Nurse Alabere’, ‘e ba mi ki Orente’, (e ba mi is translates as help me (to do). It could be a plea or a simple request). The love he gushes about lavishly on “Orente“ turns sour on Nurse Alabere, a slow to mid-tempo joint about a lover who departs without so much as look back. The production on the track is excellent, understated until the percussion induced crescendo as his song of pain gets ever more heartfelt. No Forget (feat. 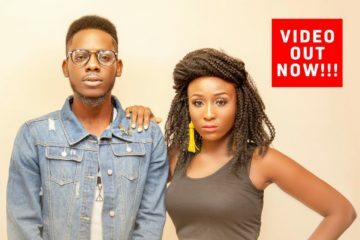 Simi) is probably the track that was most anticipated; the sole guest on the record and Adekunle’s rumoured other half. The writing on this joint lives up to those expectations but the melody, as carried by Adekunle, doesn’t quite do the words justice. Perhaps it was the weight of those expectations. Simi, like Adekunle, is an artist who takes delivery seriously and she doesn’t disappoint on the joint. It’s a mini film of a song, a reluctant departure between two people who make promises of a future they might not have together, and if one believes these two are a couple per the gossip blogs, then one presumably would not mind the thick layer of saccharine that comes with this joint. If you understand that Adekunle is a storyteller as well as possessing the myriad of aforementioned skills, then you should delight at the sequencing of tracks seven to ten. It’s an episodic affair, from the lovers’ promise on Paradise, then him being dismissed by a lover’s parent for not having money on No Forget ‘Your mama say, “omo mi, no follow I never chop, make you find correct guy, no be love you go chop”. Na me she dey talk about’ to him imploring God to ‘Pick Up’ so that he can have the things that others have, this is followed by Work, a track that could be self-admonishment for his wishing and praying on the previous joint. Work is perhaps the best song on the album. Produced by B. Banks, its simple refrain of a chorus means its Yoruba Pidgin English verses won’t be lost on any listeners; the departure from the now too frequent Yoruba folk melody is also a most welcome break. The artist projects an everyman image; he loves love and it shows, writing on its aches and joys in an earnest manner, even when he’s not entirely to be believed, as on Fight For You where he tries ‘strong lover man’ look to protect a lover he had no business having in the first place. 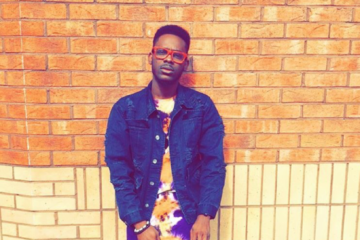 His effort is smile-inducing for its seeming honesty, but Adekunle as a fighter? Not quite. His delivery of the song is perhaps his best on the album; he conveys the drama with appropriate passion and the right hint of cheekiness. 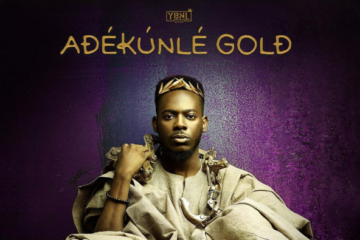 Unlike the last six YBNL releases, this album is polished and mixed to the expected grade, thank to Simi, who was charged with the task; and Gold is a really good first album. It’s almost great but for the melody recycling that permeates the record. For example, Ready sounds far too similar to Pick Up, E Dey Sweet Me is precisely as its name suggests, a sweet up-tempo guitar track, but it sounds too similar to Friend Zone. That said, the album has enough stellar tracks to keep it on deck for a while. The production on the album is also nuanced and B. Banks’ Work, and the ever impressive Masterkraft with Sweet Me are particular highlights. 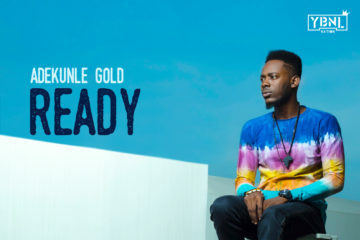 Adekunle Gold, on this evidence, should be around for a while. Standout tracks include Orente, Paradise, No Forget, Work, Ariwo Ko, Sweet Me, Fight For You.